Ask anyone about the installation cost and performance of a stamped concrete patio in Ohio and he will confirm that it is the most durable and affordable solution to transform your outdoor space. It will not sink like other patios and remain solid in spite of the wear and tear. There is no doubt that installing stamped concrete patio comes with many benefits. It is a hassle free and low maintenance solution. The concrete stamped patio cost is certainly low than other alternatives and to avoid cracking or chipping you will need to do the resealing every two years. Thus, the quality of color will be well maintained in the coming years. As you have decided to install the patio in your outdoor space, it is important to estimate its cost. The cost of applying an average concrete stamped patio will depend on a lot of factors. Some of the factors that need to be considered are the type of stamping, surface area, grading, labor rate, finishing and additional preparation requirements. Cost of a basic stamped concrete will lie between $8 and $12 per square foot. If you want something cheap then it should consist of one pattern and one color. For some projects, the cost can raise up to $18 per square foot. Usually, a mid-range price will be $12 to $18 per square per foot. Something in mid-range can consist of contrasting patterns, colors, and borders. The high-end cost will be something over $18 which will be expensive but at the same time, it will be more realistic. You can select different colors, stamp patterns, special designs or hand coloring. The cost will vary depending on what type of concrete stamped patio you are looking for and what is the complexity level of the job. If you are looking for an affordable and simple option then choosing a single pattern and one type of color will be more cost-effective. Multi-pattern designs with some special coloring effects are more expensive. If you also want some hand-applied stain accents then the cost will increase. If you would like to use flagstone, precast or brick pavers, and other natural looking stones then you may find it a little expensive too. The cost will rise due to the labor factor as they would need to pour the concrete and apply a complex pattern. Simultaneously, the paving will be done by hand. So, all these are expensive options. 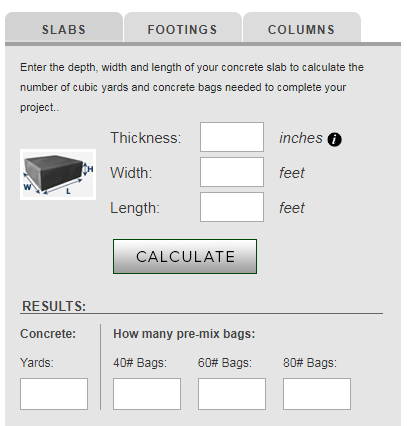 Once you have decided about the design and pattern, know the surface area where you want the stamped concrete patio and considered other additional requirements, use an online calculator that is specifically designed for calculating the installation cost of the stamped concrete patio. This will help you to a great extent. Now, you can call the topmost stamped concrete contractors in Ohio and get an estimate from them. They do not charge for estimation and you can negotiate accordingly. It will give you a fair idea that how much you should spare for the installation. Sometimes, the cost may increase or decrease slightly. What if you have a tight budget? If you can’t afford to go over your estimated budget and still want some spectacular results, then mixing the stamped concrete with some plain concrete will be a good idea. You can install the driveway using a single border of stamped concrete or divide the work into certain stages. You can first work on the front or backyard area and after a year you can get your pool or deck area done. The best way to lower the cost is by choosing a basic design. If the required area is big and you want to reduce your costs greatly then you can make use of seamless skins. It is a kind of stamp which will offer a realistic stone texture without any pattern. You can choose a basic design. These stamps are installed quickly and will save you a lot of time. Depending on your needs and budget you can contact a well known stamped concrete Cleveland Ohio who can get the job done quickly. They can also suggest some appealing alternatives in the budget or if you would like to spruce it up a little you can go a little extravagant to enhance the appeal of the concrete.